Defra has proposed changes to the Hunting Act that would allow farmers in England and Wales to use more than two dogs to stalk animals for pest control, in line with the laws in Scotland. Proposed changes to the Hunting Act would represent a significant improvement for many farmers and hunts, according to the Countryside Alliance. Defra Secretary Liz Truss has confirmed she has proposed ‘a small number of technical amendments’ to the Act to align the laws in England and Wales with that in Scotland. The Government is using a Statutory Instrument (SI) to change the law. MPs, which are likely to be fairly evenly split on the issue, will be asked to vote on the proposed changes following a debate in the Commons next Wednesday. The proposed changes will also have to be debated in the House of Lords before becoming law. The amendments would enable farmers and gamekeepers to ‘make a judgement, based on the terrain and other circumstances, to use more than two dogs to flush out and stalk wild animals for effective and humane shooting’, Defra said. This would part of the existing exemption in the Act that allows for pest control. Defra said this would be important in upland areas where the current limit of using two dogs across large and often wooded areas is not regarded as effective or practical for pest control purposes. There is no limit on the number of dogs that can be used to flush out or stalk an animal in this way in Scotland. Defra stressed the Hunting Act would remain in place and will still prohibit the pursuit and killing of a wild animal by dogs. The current restriction that only a single dog can be used below ground in stalking or flushing out animals will remain in place. Countryside Alliance executive chairman Barney White-Spunner said the amendments would represent a ‘significant improvement’, removing the ‘arbitrary’ two dog limit in exempt hunting making it legal to flush and shoot foxes using packs of hounds. “If the amendments are passed it would therefore be legal to manage foxes and some other wild mammals using packs of hounds. The requirement to take reasonable steps to shoot will, however, remain as it is,” he said. “We still believe that the Hunting Act needs to be scrapped, but in the circumstances these amendments meet the immediate needs of the rural community. He urged hunt supporters to contact their MP to make their views known ahead of next week’s vote. CLA President Henry Robinson said: “The Hunting Act is a bad piece of legislation that doesn’t work as a means of protecting animal welfare or as a set of practical rules for those that hunt to follow. Speaking at Prime Minister's Questions on Wednesday, David Cameron said he would give MPs the chance to 'debate an issue and then have a vote'. 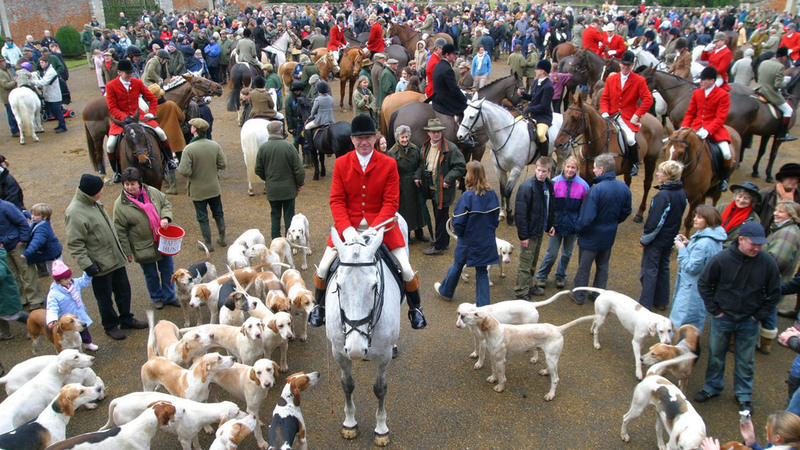 The Conservative's manifesto included a pledge to allow a free vote on repealing the hunting ban. 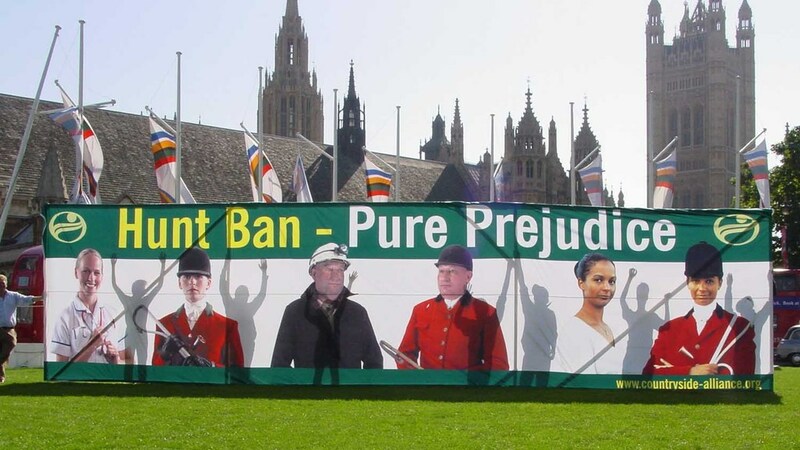 The ban came into force in 2005 under the last Labour government, following huge protests from hunting fraternity, the including the Countryside March. The use of the SI to try and bring about change is inevitably proving controversial. Angela Eagle, the shadow leader of the House of Commons, accused the government of trying to deliberately wreck the Hunting Act, relaxing the legislation 'by the back door'. She suggested the change was being driven by pro-hunting groups. “Can you tell us why MPs were being inundated by emails from pro-hunting groups who clearly knew about the timing of this vote before the government had even announced it to parliament? “Why won’t you allow more than 90 minutes for the debate and can you now confirm that it is indeed the government’s intention to wreck the Hunting Act using this back-door device because they don’t have the majority to repeal the Act itself or the guts to try?” she asked in the Commons. Chris Grayling, the leader of the House, refuted the suggestion, insisting the proposal was a response to the legitimate concerns and representations of upland farmers about pest control.